Stylus There are 6 products. 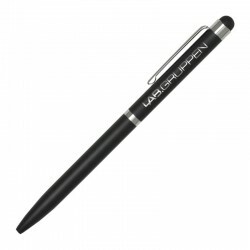 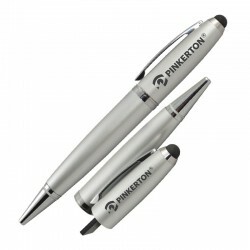 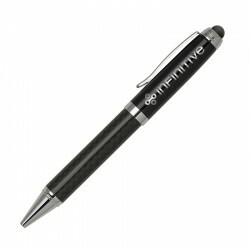 This pen features sleek chrome accents on silver, and a stylus cap with a magnetic closing mechanism. 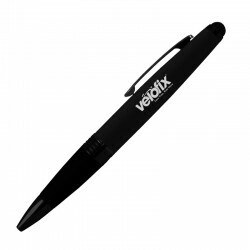 This aluminum triple-function pen features a ballpoint pen, a bright LED light, and a silicone stylus that can be used on any touchscreen device. 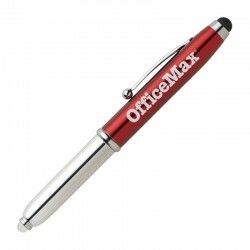 This dual-function pen features solid brass construction with carbon fiber embedded in the barrel, plus a sturdy stylus tip.